The CARS team was awarded 41 hr of VLA time to study the role of neutral hydrogen in luminous active galaxies. A total of 16 galaxies from our Close AGN Reference Survey will be observed. The observations will provide the deepest H I images ever taken for these luminous nearby AGN down to M(HI)<=1.2e9 Msol/beam. Our observations will allow us to tackle three crucial questions linking luminous AGN and their host galaxies. Namely, we will (i) determine whether suppressed star formation (low H2/HI values), or rather strangulation (high H2/HI values), is at place in nearby luminous AGNs, compared to the non-AGN population at the same stellar mass and morphology stage; (ii) determine what is the dominant gas supply (H2 or HI) for nearby luminous AGN; and (iii) study whether it is AGN feedback, or rather environment, the dominant actor in suppressing star formation. 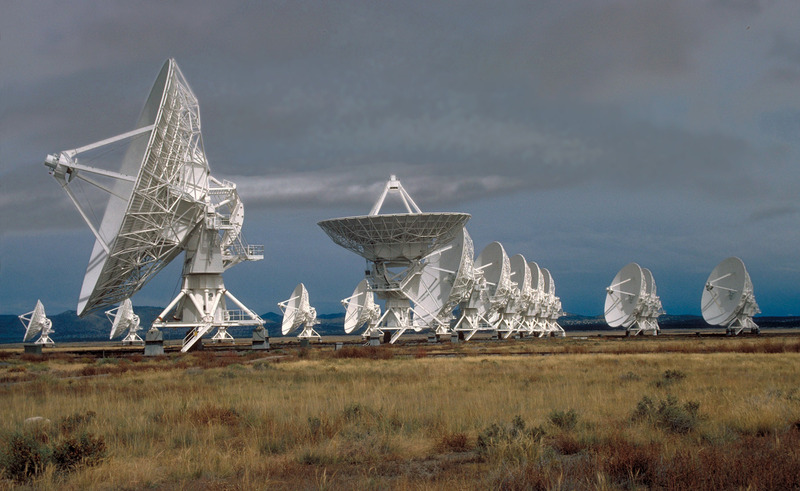 The 27 antennas of the VLA will observe during the first semester of 2016 sixteen galaxies of our CARS sample. A relatively big time request of 11 hours was recently granted on the flying observatory SOFIA for Cycle 4 (Feb 2016-Jan 2017). 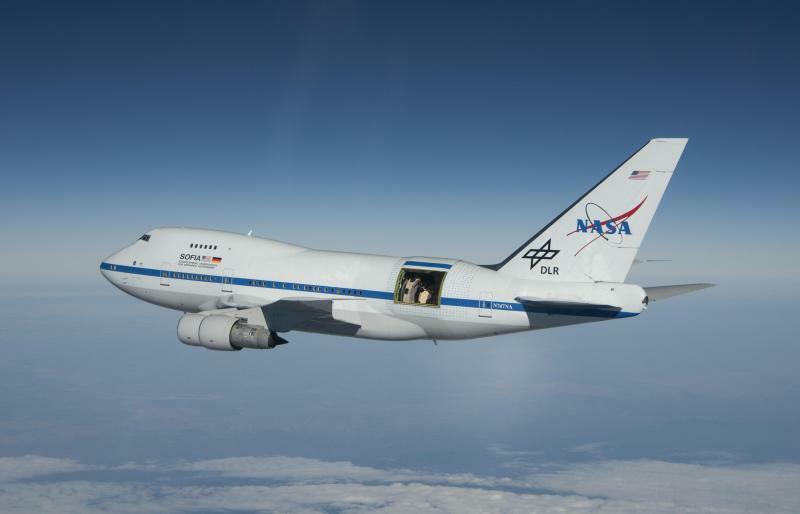 The modified 747-SP hosts a 2.5m telescope that is lifted up more than 40.000 feet in flight and able to observe the far-IR emission that would otherwise be strongly absorbed by the earth atmosphere. A large suite of instruments can be used onboard of SOFIA and for the CARS project we applied for FIFI-LS time which is a 3D spectrograph operating in the FIR in two channels that allow to observe two FIR emission lines within a 1'x1' large FOV. For CARS we are particularly interested to map the distribution and kinematics of the [CII] 157µm line. We want to test whether [CII] is tracing star formation and what contribution the AGN radiation field has to excite the line. Given that the FOV is exactly matching that of MUSE we can directly compare the light distribution and kinematics of Halpha and [CII] although the spatial resolution in the FIR is 5-10 times worth than in the optical. 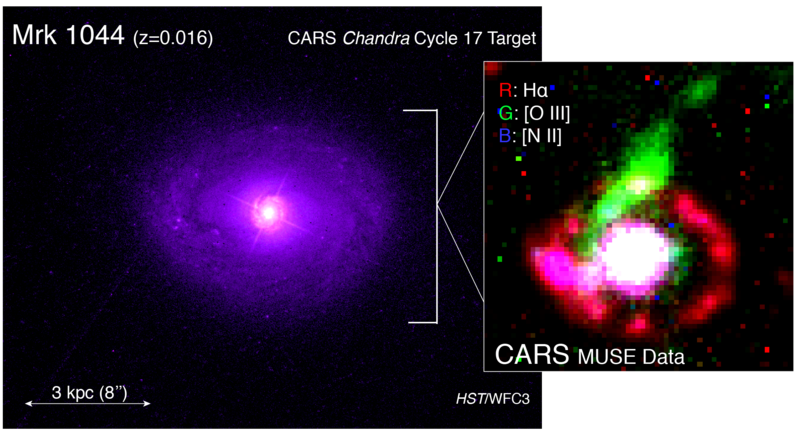 The CARS team was recently awarded 200 kiloseconds of Chandra X-ray Observatory time to investigate two stunning discoveries made as part of our ongoing VLT/MUSE observations. 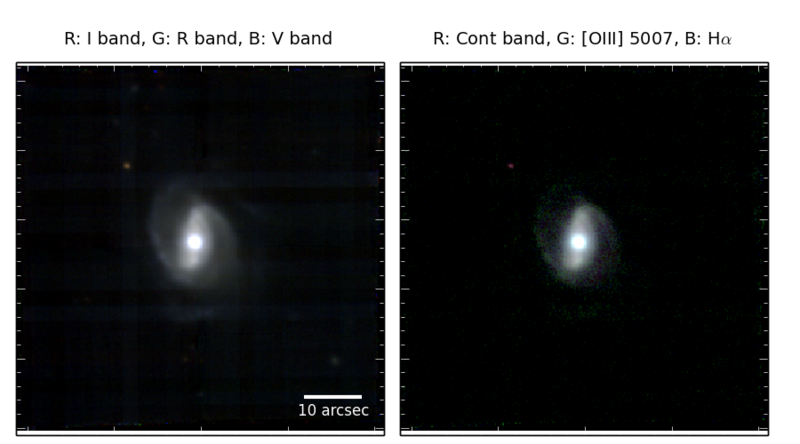 The MUSE data for CARS targets Mrk 1044 and HE 0351+0240 have revealed what appear to be AGN-driven superbubbles sweeping outward through the galaxy. With the combined power of Chandra and MUSE, we will soon be able to directly test predictions from quasar-driven "hot wind" models, and better map the role that radiative AGN feedback might have on star formation throughout the galaxy. Mrk 1044, one of the two galaxies for which the CARS team has been awarded forthcoming Chandra time in Cycle 17 (2016). Shown at left is a Hubble Space Telescope WFC3/UVIS composite. A preview of the spectacular CARS MUSE data for this source is shown in the inset. During the night of 13 April 2015 MUSE observations of CARS resumed for P95. The AGN HE0934+0119 was observed right at the beginning of the night under very good condition. It is a nice spiral galaxy as can be seen below. This is an important step for the completion of MUSE observations for the entire sample. The team is looking forward to explore all the spectular MUSE data that have already taken or will be taken soon. MUSE broad-band color composite and emission-line/continuum composite image of HE0934+0119. It is the first CARS target observed with MUSE in P95 on the 13 April 2015. On Tuesday 17th 2015 the CARS team gathered in Cologne for the initial kick-off meeting. The location was chosen carefully to be most central between Paris, Potsdam and Munich. In addition, the working group of Andreas Eckart at the University of Cologne established the mother sample of CARS and performed initial observation of the sample. Most of the team members attended the meeting either in person or joined in via internet from the US and Potsdam nodes. We had a very productive meeting discussing immediate science cases to be addressed with the data, additional follow-up observations for the next month, action items for the next month and logistical issue of the collaboration such as policies, team membership and future meeting. Our next team meeting will likely take place at ESO in Garching autumn this year. Group picture at the end of the meeting. 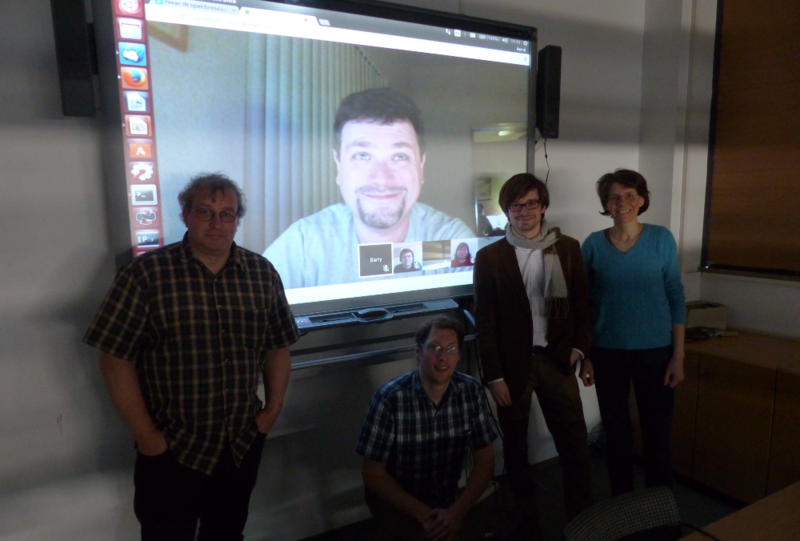 From left to right: Prof. Andreas Eckart, Barry Rothberg (big on screen), Davor Krajnovic (thumbnail on screen), Tanya Urrutia (thumbnail on screen), Bernd Husemann (below screen), Gerold Busch and Julia Scharwaechter. Between September 2014 and January 2015 all planed AGN host galaxies for P94 were observed with MUSE integral-field unit at the VLT in Chile. The data set consists of 19 objects which comprises already half of the CARS sample and the remaining objects are scheduled for observation in P95. All observations passed the quality tests and have already been fully reduced. This is an existing milestone for our project and marks just the beginning of the CARS collaboration. The MUSE integral-field unit covers a large 1'x1' field-of-view with a sampling of 0.2" per pixel. Each pixel represent an entire spectrum ranging from 4750A to 9300A with a resolution of about ~2000. This allows us to extract a wealth of information ranging from stellar and ionized gas kinematics, probing the conditions for ionization or estimate the basic properties of the AGN like black hole mass, accretion rate and Eddington ratio. The figure below highlights the spectecular data taken by MUSE. 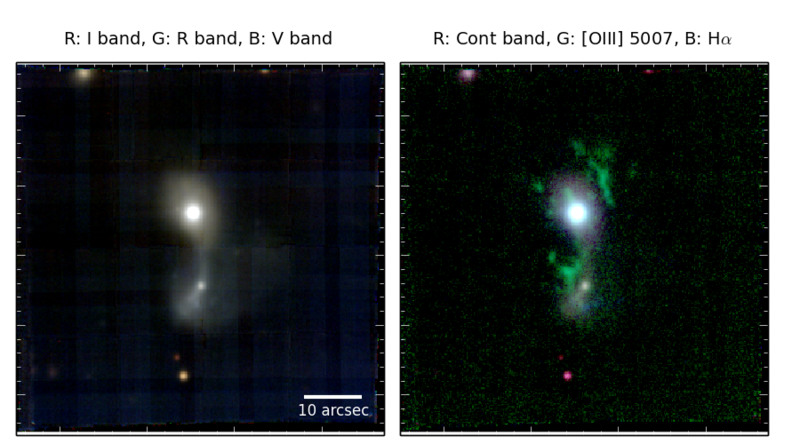 It shows a broad-band V/R/I and a Ha/[OIII]/I color image for the AGN host galaxy HE 0351+0240. It is an obvious ongoing major merger system and reveals a complex network of highly ionized gas in filaments. To understand the nature of this gas and its relation to the AGN activity is a central science case for CARS. The spectacular VLT-MUSE data of HE0351+0240 were observed on 27/12/2014 during P94 observation for CARS. The left panel shows a broad-band V/R/I image and the right panel a hybrid Ha/[OIII]/I emission-line/continuum color image. The green filaments indicate the location of highly ionized gas around the galaxies.